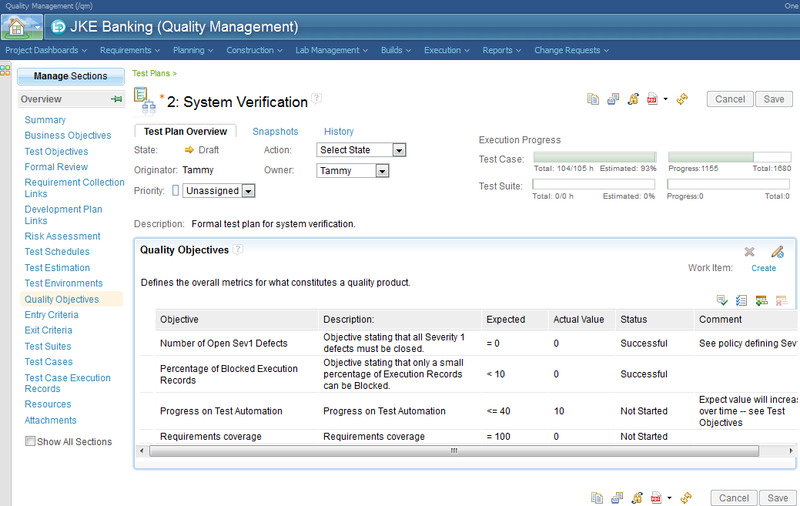 IBM® Rational® Quality Manager offers comprehensive test planning, test construction, and test artifact management throughout the development lifecycle. It enables teams to meet their software quality goals and improve efficiency and accuracy in a continuous delivery environment. 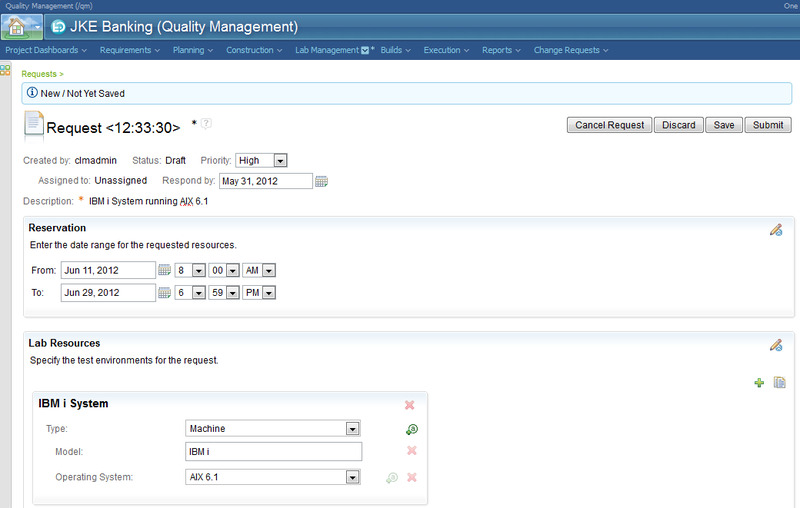 Cisco Systems improves fault analysis and reporting using IBM Rational Quality Manager, saving both time and money. Rational Quality Manager can improve the productivity of your teams and the quality of the work they produce by allowing each team to teach the tool its best practices. 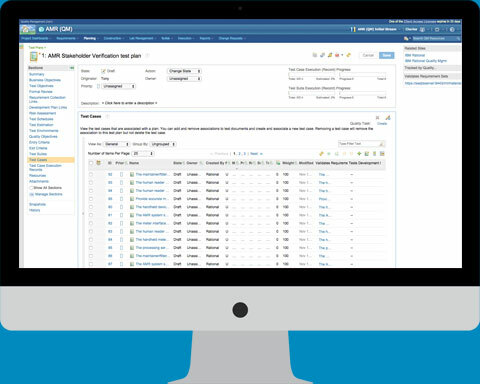 Rational Team Concert helps you meet regulatory requirements and get ready for compliance audits. Always have a real-time accurate status without having to ping each and every team members. Dashboard provides an at-a-glance view of test artifacts, work item queries, event feeds, reports, and other items that are critical to understanding your progress. 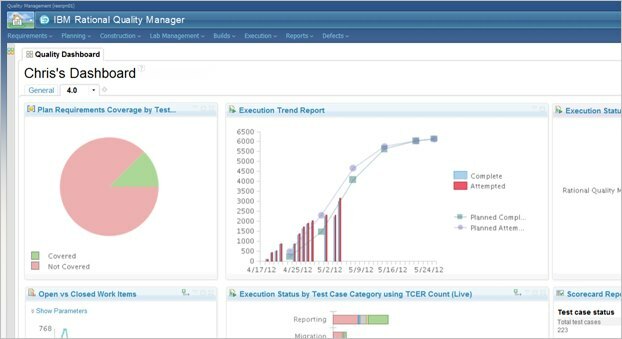 Reports provide both real-time views and historical trends of test cases, test executions, defects, and other artifacts that your team works with. Use Rational Quality Manager to accelerate manual testing using rich text, in-line images and assisted data entry and validation for precise test definition and execution. Track all your lab resources in one place and make sure the required resources to execute your test plan are available. 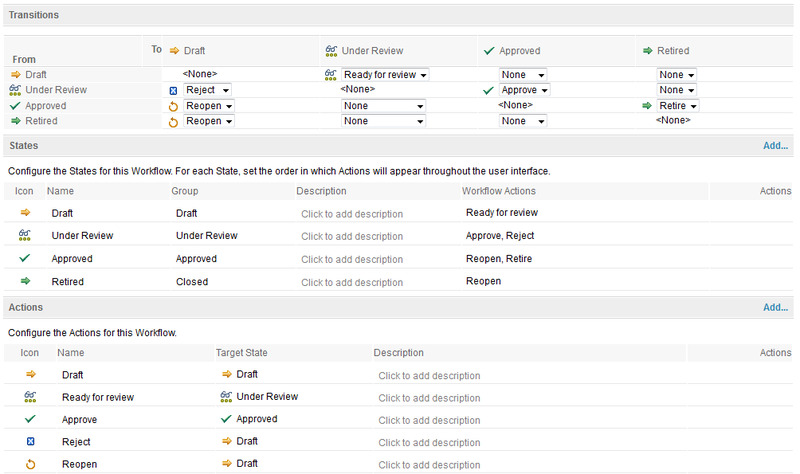 Request new configurations to be deployed and reserve critical resources ahead of time. Identify underutilized resources and high demand assets. Rational Quality Manager integrates with requirement management tools such as IBM Rational DOORS Next Generation or Rational DOORS, and supports requirement driven testing. You can link your test plan to a collection of requirements streamlining the process of keeping test cases in sync with requirements as they evolve. Rational Quality Manager works with requirements in IBM Rational DOORS® and IBM Rational DOORS® Next Generation to keep test cases in sync whenever requirements evolve. Rational Quality Manager also integrates with a wide range of test automation tools like IBM Rational Test Workbench, enabling you to you to run tests and collect results, all from a central location. Jazz.net, the website for Rational Quality Manager, gives you the unique opportunity to interact with a vibrant user community, as well as with the developers of Rational Quality Manager itself. With the wide array of resources found on Jazz.net, support is always at your fingertips. Rational Quality Manager is part of the following solutions for systems engineering, embedded software development, and application software development.